There is currently an epidemic of ‘affluenza’ throughout the world – an obsessive, envious, keeping-up-with-the-Joneses – that has resulted in huge increases in depression and anxiety among millions. Over a nine-month period, bestselling author Oliver James travelled around the world to try and find out why. 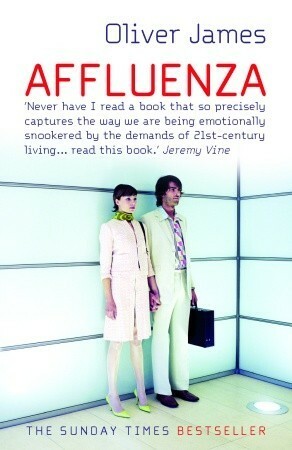 He discovered how, despite very different cultures and levels of wealth, affluenza is spreading. Cities he visited include Sydney, Singapore, Moscow, Copenhagen, New York and Shanghai, and in each place he interviewed several groups of people in the hope of finding out not only why this is happening, but also how one can increase the strength of one’s emotional immune system. He asks: why do so many more people want what they haven’t got and want to be someone they’re not, despite being richer and freer from traditional restraints? And, in so doing, uncovers the answer to how to reconnect with what really matters and learn to value what you’ve already got. In other words, how to be successful and stay sane.